Our customer Marie bought a new house and was moving out. She decided that instead of selling her current house, she would rent it out. She did some necessary repairs around the home to get it ready to rent, and knew she needed to address her garage door. The door was old. It is also made from wood and was in need of serious maintenance Marie wasn’t sure she wanted to take on. She decided that instead of repairing her current door, she would get a new, updated door that offered security for her home, and her tenants, and would also be low maintenance for everyone. The problem with Marie’s garage door is that it is a one-piece garage door. Converting a one-piece garage door into an overhead door isn’t typically an issue, however the garage doubles as a bedroom that had been built into the garage a while back. We found a creative solution to this problem so Marie could get a new door and keep the bedroom functional. 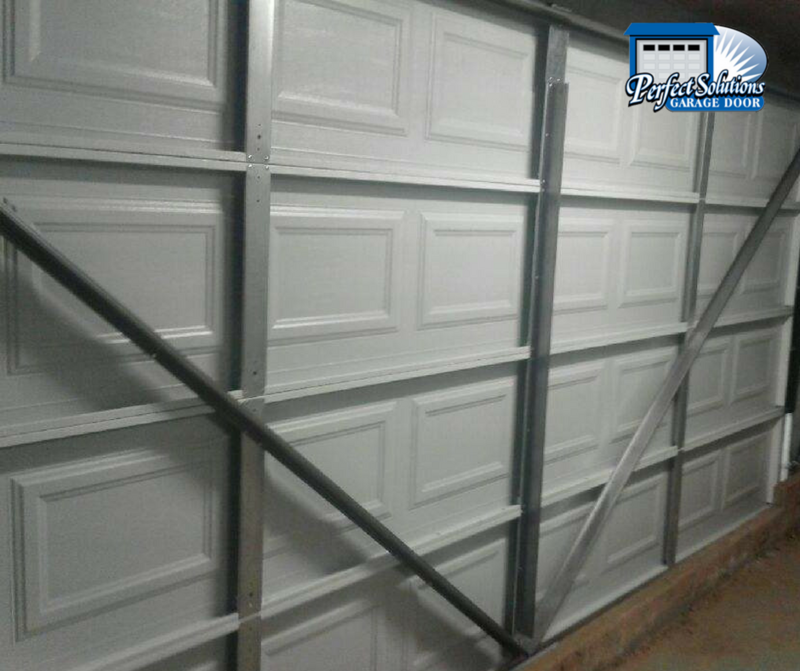 We took a new overhead garage door and mounted it as a one-piece door. This gives Marie the ability to continue to use the garage as a bedroom, which is helpful for her rental opportunities. 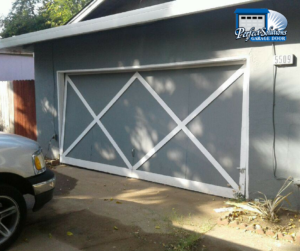 The door, however, is still functioning properly and can be converted back to a garage in the future with a working, secure door. For Marie, she got the look of a standard overhead door but the function of a tilt door. We think it looks great, and most importantly, Marie is happy with the final result! Now her door is updated, functional, and looks great from the outside. Curb appeal means a lot when trying to rent out a home. Getting as many renters interested as possible gives you options and ensures you will rent the home quickly so you don’t face vacancy loss. 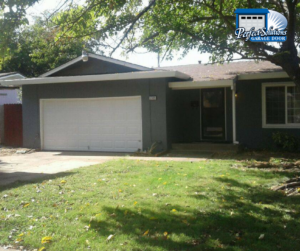 This entry was posted in Blog, Garage Door Repair, Project and tagged garage door update on rental property, one piece garage door, overhead garage door, tilt garage door. Bookmark the permalink.